SPECIALIZING IN MADE IN USA TOYS & PARTS!!! 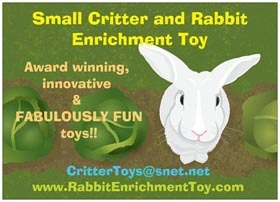 CreateYourOwnBirdToys.com offers avian & critter enrichment parts to rebuild or to create your own designs. *Parts from other countries...sourced from reputable suppliers. NOTE: GFBToys are made & stored in a bird & critter free environment. Greenfeather Bird Supply,LLC & our own ‘GFBToys’, an award winning line of Avian & Small Animal to Rabbit toys takes great pride in creating innovative companion pet toy designs. Plus this year, (with me still as the original owner), GFBS is proudly celebrating 25 years of providing quality toys & products to small independent pet stores across the USA, up to Alaska. As an ‘Eco-Ethical’ company all aspects of operating the company are important, I make the consciousness choices in how the office works, which small independent women owned toy makers to work with & product to distribute, plus the products used & the companies that GFBS does business with to create GFBToys &/or sell as parts products too. Over these 25 years I have seen an evolution of available parts to work with, thus increasing my creativity of toy designs & part choices: Made in USA, sustainable, recyclable, compostable, Up-Cycle, Fair Trade, non-toxic, organic &/or small farm harvest. These product choices, GFBToy toy designs & the parts used, the company operation to even boxing for shipping came easily to me because of my years of education from The White Mountain School, NH (40years ago) to a degree of a B.A. in Human Ecology from College of the Atlantic, Bar Harbor, ME (35.5years ago). I also believe that being in the pet industry, selling products to stores that I should give back & help companion pets that are in rescues. Through CreativeBirdToys.com <http://CreativeBirdToys.com> I offer a link & info listing for 501c3 Non-Profit Organization plus a direct ship to rescue discount on orders for these listed rescues. Then for the past several years for the entire month of May CBT offers: ‘CBT Matching Rescue Donations’ up to $100.00 per order. This year CBT’s RescueMatch matched over $1,300.00 in toys/product. Greenfeather Bird Supply,LLC is committed to always offering the stores I do business with the finest quality made, creative designs, eco-friendly, cruelty free & safest quality made toys, parts & products without hesitation. GFBToys priority is always to maintain the highest level of quality in the toy designing, parts used, to the individual handcrafting of each toy that I do personally. So my constant standard of quality I strive to maintain in the GFBToy toy creations help enrich our avian, small critter to rabbit companion animal’s life.